The name for the body that represents staff employees at Sam Houston State University, Huntsville, Texas, shall be known as the Staff Council. Section 1 . 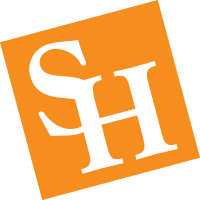 Within the framework of Texas state law and The Texas State University System rules and policies applicable to Staff, the Staff Council is an official organization of Sam Houston State University, Huntsville, Texas, constituted to act as an advisory body to the President of the University on matters which are of interest and concern to the Staff and the University. Section 2 . The Staff Council shall receive and evaluate suggestions and proposals submitted by Staff. The President of the University may direct the Staff Council to refer an issue or provide input to other appropriate University committees, bodies or individuals. The Staff Council shall not duplicate the role of other established committees on campus. The Staff Council will not act in any specific employee/employer dispute within the University. Section 3 . The Staff Council shall promote communication for and between the Staff and the President of the University. Section 4 . The Staff Council shall consider, propose and support programs and projects designed to benefit the Staff and the University. Section 5 . It shall be the duty and responsibility of the Staff Council to present to the President of the University appropriate recommendations relating to, but not limited to, those matters referred to in Article II, Sections 1, 2, 3, and 4. Such recommendations may ask for amendment to or elimination of any law, code section, regulation or policy of interest to the Staff. A two-thirds vote of the Staff Council. A petition signed by not less than ten percent of the staff employees represented by the Staff Council. The President of the University following his determination that some portion(s) of the Constitution are at variance with Texas state law or the adopted rules and policies of The Texas State University System. Section 2 . Amendments proposed pursuant to Article III, Section 1 of this Constitution shall require approval of a majority of current Staff Council casting ballots and by the President of Sam Houston State University. Section 3 . Proposals for amendments must be made available to the staff employees referred to in Article III, Section 1.2 at least ten working days before they are voted upon.